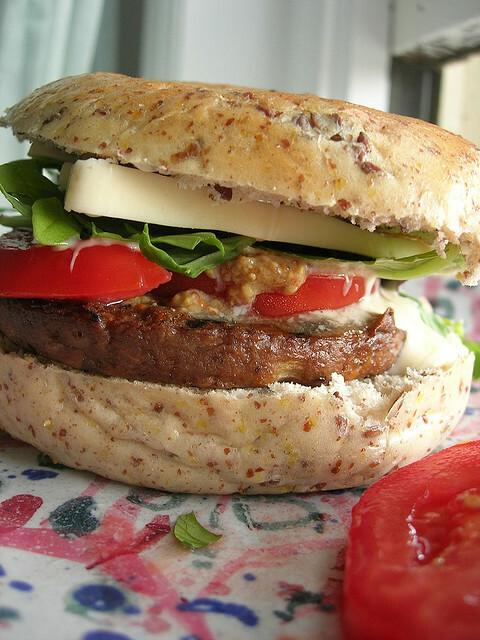 These delicious vegetarian tempe burgers are done within 10 minutes and great for vegetarians and non-vegetarians. Tempe or tempeh is a fermented soybean cake originating from Indonesia. It is especially popular on the island of Java, where it is a staple source of protein. Like tofu, tempe is made from soybeans, but it is a whole soybean product with different nutritional characteristics and textural qualities. Tempe’s fermentation process and its retention of the whole bean give it a higher content of protein, dietary fiber, and vitamins. It has a firm texture and an earthy flavor which becomes more pronounced as it ages. 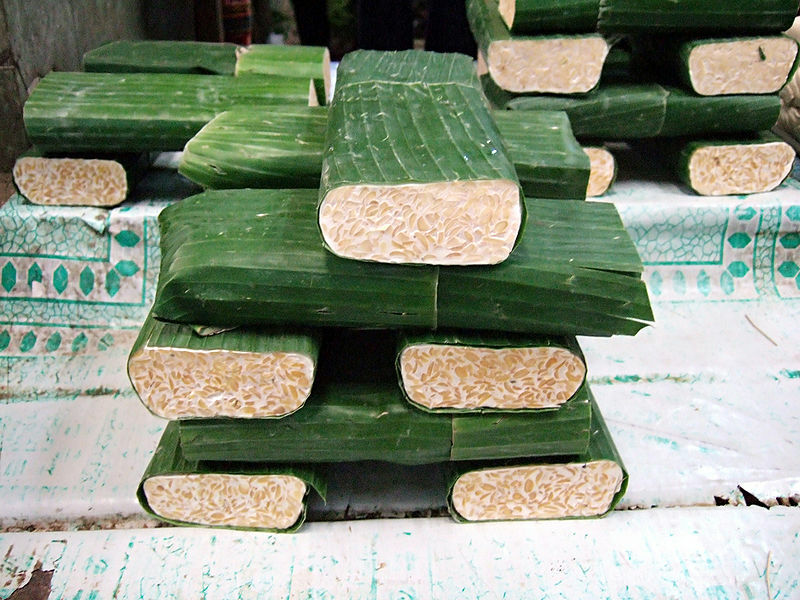 Because of its nutritional value, tempe is used worldwide in vegetarian cuisine as replacement for meat. Not many people outside of Indonesia know what to do with tempe. Here’s one very easy and tasty way of dealing with tempe: tempe burgers! 2. Knead a dough with the tempe, egg, finely chopped onion, salt, pepper and breadcrumbs. 3. Make burger patties out of the dough. 4. Fry the patties in oil until golden on a low fire with the lid on. Serve on buns with trimmings and a fresh salad!